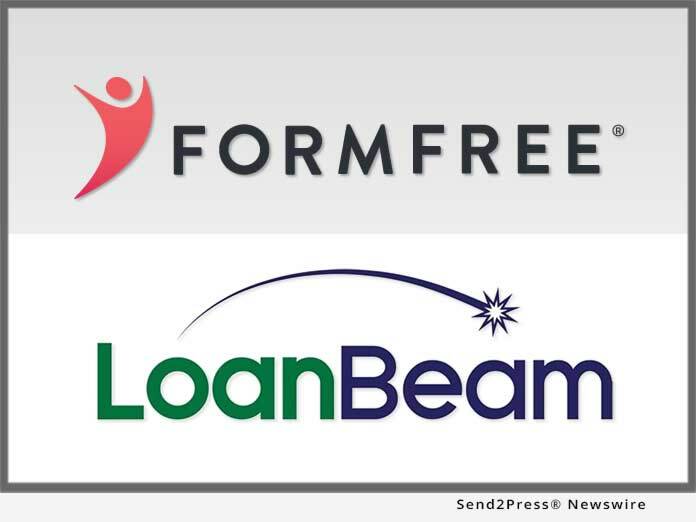 ATHENS, Ga., Oct 12, 2018 (SEND2PRESS NEWSWIRE) — Automated verification provider FormFree(R) has partnered with LoanBeam(R), the leader in automated income extraction and calculation, to make it easy for mortgage lenders to solve two of their toughest underwriting challenges: collecting digital borrower financial data directly from the source and calculating qualified income with accuracy, consistency and efficiency. AccountChek(R) by FormFree is an automated asset verification service that enables borrowers to demonstrate their ability to repay loans by sharing financial data directly with lenders instead of mailing, faxing or emailing traditional asset account statements. AccountChek delivers asset data to lenders in a standardized report along with a ReIssueKey that enables secure and streamlined sharing with the secondary market. FormFree is a fintech company whose market-leading AccountChek(R) reports are used by hundreds of lenders nationwide to verify borrower assets, employment and income in minutes. With FormFree, lenders can delight customers with a paperless experience and reduce origination timelines by up to 20 days. FormFree offers automated analysis and standardized delivery to lenders and their investors using a secure ReIssueKey(TM). To date, AccountChek has securely placed more than one million asset reports for over 1,000 U.S. lenders. A HousingWire TECH100(TM) company for four consecutive years, FormFree is based in Athens, Georgia. For more information, visit https://www.formfree.com or follow FormFree on LinkedIn.